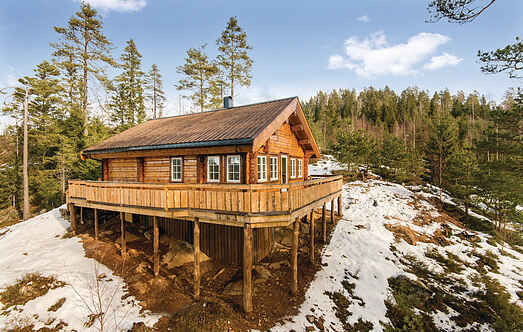 Find a vacation home to rent in Froland Municipality from our list of vacation rental properties. Campaya has over 5 vacation homes available in Froland Municipality, which give you the possibility to locate a unique accommodation in Froland Municipality which completes your check-list in search for the perfect self catering vacation apartments in Froland Municipality or vacation villas in Froland Municipality. Welcome to this lovely cabin in Hynnekleiv. The cabin has a very nice location on a hill by the lake Skjersæ. 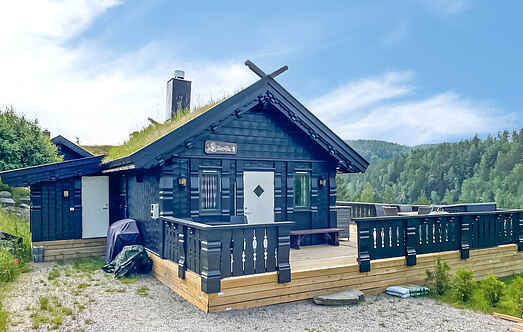 Welcome to this cozy holiday house, located by Vågsdalsfjorden in Indre Agder. Here you can enjoy a beautiful view over the water and the forest, directly from the terrace. Very nice cottage with pine furniture and a large sunny terrace. Close to activities: rafting, an art gallery (with mosaics), fishing. Bedroom 2 has no door. This nice holiday house is located just 100 m away from the lake Myklandsvannet. The highest peak in Froland municipality is located in Mykland. Nice and fresh holiday house in a beautiful location. High standard all around.